From Apple to Samsung, a variety of smartphone leaks surfaced this past week. Here’s a breakdown of almost every smartphone leak from the last few of days. The leaks below encompass news from July 7th to July 13th. The Samsung Galaxy S10+ will reportedly have five cameras. Reports claim the phone will offer two shooters on the front, with the second one being focused on improved 3D face sensing technology. The other three cameras are tipped to be on the rear, similar to the Huawei P20 Pro. For more on the Samsung Galaxy S10+, click here. An “official render of the Samsung Note 9 has appeared online. The rendered image looks very similar to the Samsung Galaxy Note 8, with the same sensor and button placement. 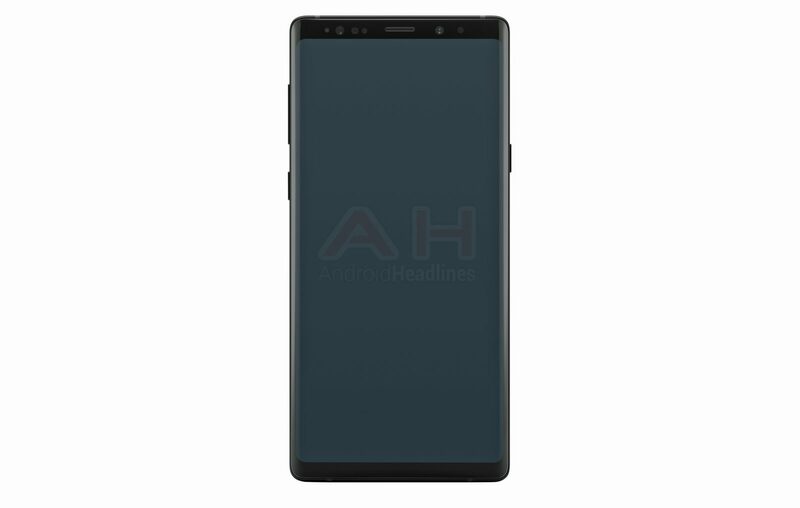 For more on the alleged Samsung Galaxy Note 9 render, click here. A leaked Samsung Galaxy Note 9 poster shows that the phone may featured an accent coloured stylus, as it showcases a blue Note 9 with a gold stylus. Further, the image indicates the bottom of the Note 9 will look identical to the Note 8, with a speaker grill, a USB-C port and a stylus holder. The fingerprint scanner seems to have moved under the camera setup, similar to the Samsung Galaxy S9. For more on the Samsung Galaxy Note 9, click here. Samsung may launch a Galaxy Watch, instead of a Gear-branded smartwatch. The rumoured Galaxy Watch could possibly support Wear OS according to rumours. For more on the Samsung Galaxy Watch, click here. New reports indicate a lower-end iPhone 9 will launch months after the company’s high-end counterparts. Apple is expected to launch the higher end iPhones on September 11th. For more on the lower-end iPhone 9, click here. Another Apple-related report reveals the company is employing a new display technology in its 2018 6.1-inch LCD iPhone. The innovation will allow the LCD device to be nearly bezel-less similar to other OLED displayed smartphones. For more on the 6.1-inch LCD iPhone display technology, click here. Images of the Nokia 5.1 Plus surfaced online. The phone has a notch, similar to the Nokia X6, and features a 5.7-inch display. Further, rumours indicate the phone will sport a USB-C port, a dual rear camera setup and a rear-mounted fingerprint setup. For more on the Nokia 5.1 Plus, click here.